Charles K. Denmark appears numerous times on this African-American history website, primarily in the Sports section on the Carver Football, Basketball Coach Crawford and Team, Goss Construction Company Basketball Team, and the Cleggett and Brown Softball Team pages. 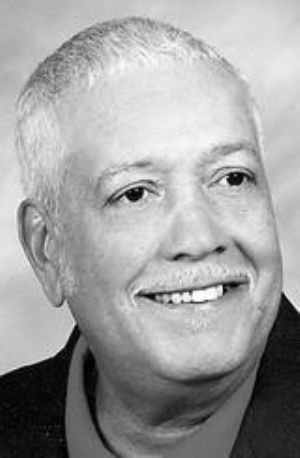 CUMBERLAND — Charles Kenneth Denmark, 79, of Cumberland, passed away Friday, June 8, 2012, at the Western Maryland Regional Medical Center. Born Sept. 26, 1932, in Cumberland, Mr. Denmark was the son of the late Elwood C. Denmark and Magnolia (Cooper) Denmark. He was also preceded in death by three sisters, Anna Mae Leath, Theresa Beard and Alistine Keyes; a brother, Vincent Denmark; and was the last surviving member of his immediate family. Charles was a graduate of Carver High School where he also played basketball. He was a United States Army veteran and retired from the Goodyear Tire and Rubber Company. Charles was a member of the McKendree United Methodist Church of Potomac Park; the Fort Cumberland Post 13 American Legion; and the Henry Hart Post 1411 V.F.W. Charles was an avid Baltimore Ravens fan and traveled to many games. He also enjoyed going to the horse races at the Charles Town Race Track. Mr. Denmark is survived by his significant other, Betty Gilmore; and Betty’s two daughters, Nitra Peck and husband, Bruce and Karen Ashby, all of Cumberland. He is also survived by his sons, Darrell Lee Powell, Cumberland and Robin Washington of Connecticut; his daughters, Denise Powell, Cumberland and Monica Stewart, Burlington, W.Va.; as well as several grandchildren, great-grandchildren, nieces, nephews, and friends. Friends will be received at the Adams Family Funeral Home, P.A., 404 Decatur St., Cumberland, on Monday, June 11, 2012 from 2 to 4 and 7 to 9 p.m.
A funeral service will be conducted at the funeral home on Tuesday, June 12, 2012 at 11 a.m. with the Rev. Solomon O. Lloyd officiating. Military honors will be accorded at the cemetery by the Post 13 Veterans Honor Guard.